Courtesy While the State of Arizona could receive well over $150 million in extra tax revenue this year, the jury is out on how the government plans to utilize the funding. Arizona is looking at a major windfall in the state budget as a result of the federal government's tax overhaul, but Gov. Doug Ducey and state lawmakers have different ideas about how the money should be spent. The federal Tax Cuts and Jobs Act passed in 2017 made significant changes to the way taxpayers can claim deductions and what portion of their income is taxable. Changes to the federal tax code are not uncommon, and states are used to voting on full, partial or nonconformity each year. This year, however, the changes put a potential $174 million to $228 million in extra revenue on the table for Arizona lawmakers to fight over. Congressional Republicans voted to expand the standard deduction from $6,500 to $12,000 for single filers and $13,000 to $24,000 for joint filers, but at the same time, they eliminated a host of itemized deductions as part of its tax overhaul. They also decreased federal income tax rates across the board by restructuring brackets. Earners across the income spectrum will see their rates drop by a few percentage points. Because taxpayers will no longer be able to claim itemized deductions, they will have a higher adjusted income for tax purposes. 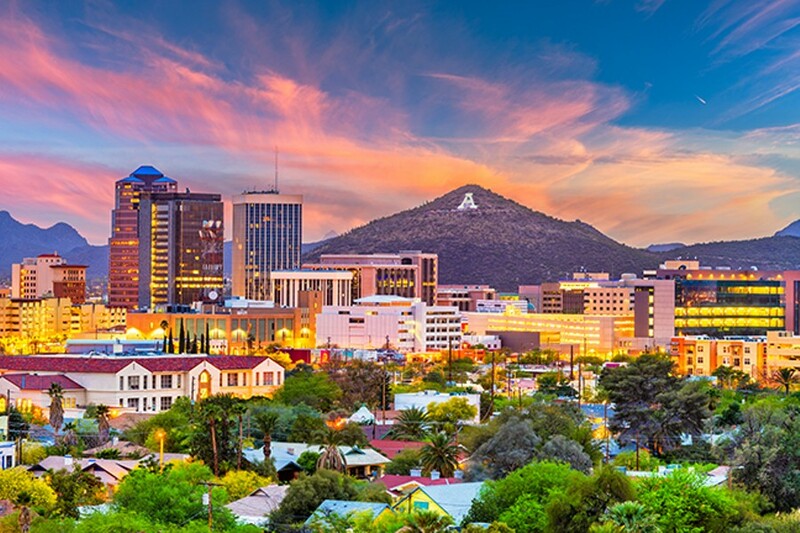 Consequently, unless lawmakers decrease Arizona tax rates or make some other adjustment, the Arizona Department of Revenue estimates about $228 million could be generated in tax revenue by the end of this fiscal year. The Joint Legislative Budget Committee predicts about $174 million. Republican legislative leaders in Arizona have said they want to give the extra revenue back to taxpayers in the form of tax cuts, while some Arizona Democrats want to see that money go to the state's under-funded public education system. Gov. Doug Ducey announced a plan to put the extra revenue into the state's Budget Stabilization Fund, also known as the "rainy day fund." The account currently has about $460 million, according to the JLBC. Former state lawmaker and budget wonk Steve Farley (D) said that Gov. Ducey's plan to put the money away for a rainy day is a positive sign for Democrats. He anticipates a strong need for that money in 2021 since Prop. 126 prohibits the state and local governments from increasing tax rates or enacting new taxes on services performed in Arizona. The Tucson Democrat said that law will negatively impact education funding. "I was encouraged to see the governor on this side because otherwise it would have been a huge battle," he said. "I think it's one we still could have won, but now it will be a lot easier because the governor has a lot more power at his disposal to bring some recalcitrant moderate Republicans along." Gov. Ducey only plans to use the rainy day fund solution for this year. In the future, he's open to different options for what the state should do with the extra revenue, including tax cuts. "Our focus is on providing taxpayers certainty for tax year 2018. The governor wants to conform," said Ducey spokesman Patrick Ptak. "With any additional revenue that comes from that, our proposal is to place it in the rainy-day fund for tax year 2018. This is a one-time solution that gives taxpayers swift certainty. We want to work with the Legislature on this plan and for future tax years." But some Republican lawmakers say the state should still cut taxes to avoid collecting the additional revenue while putting other money in the rainy-day fund. "The governor is connecting two different issues that aren't related," Sen. J.D. Mesnard (R) said. "Me and a number of colleagues are supportive of putting money in the rainy day fund, we have a surplus that we could use that for. The issue of tax conformity is entirely separate. It's not like the only way we could put money in the rainy day fund is through raising taxes." Mesnard said that because many people will start filing their tax returns at the end of January, there's not much time for the Legislature to act if they are going to make adjustments to avoid collecting the additional revenue. "There's just a big question mark and this is why I was pushing for a special session back in December to avoid this scenario," Mesnard said. "We're just going to have to work as quickly as possible." ADOR has indicated they prepared income tax forms that reflect full conformity to the federal changes, except provisions that the state historically does not conform to. The agency expects online and paper tax forms will be available by Jan. 28, the same date that federal tax forms will be accepted, according to a news release.